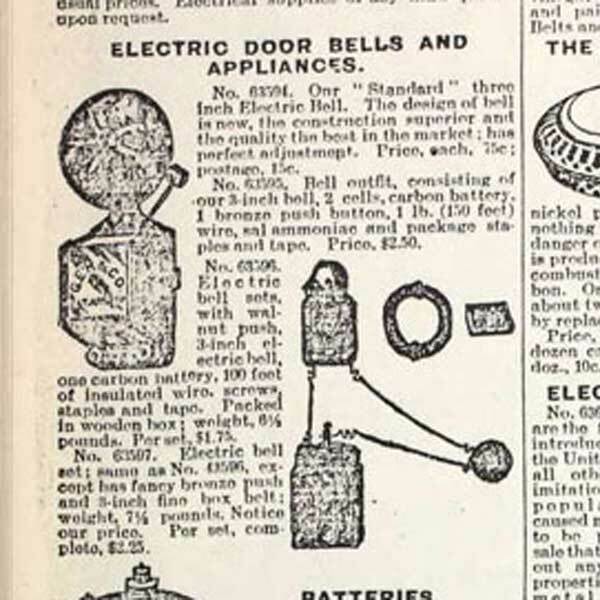 Most American homes had yet to be wired for electricity, so doorbells were marketed in outfits with batteries and wire. Buzzers are sometimes used in place of bells, as they make a low buzzing sound which can be heard but a short distance. 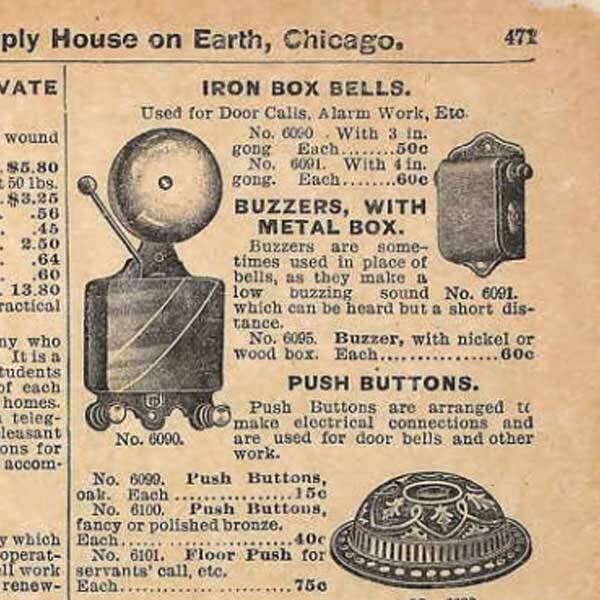 This banner year introduced “Push Buttons,” which were described as useful for door bells and other work. 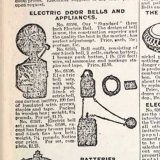 In 1903 the Sears’ line expanded to include “skeleton bells”, with exposed works since the magic of electricity fairly required the mystery not be concealed with a cover. Pre-Electric Doorbells The idea of a device to announce callers at a door or gate is quite old.. At least since medieval times, mechanical knockers, often elaborate architectural statements, could be found on doors. Shopkeepers often suspended a bell to announce customers. 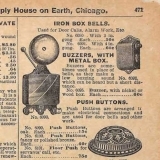 Mechanical doorbells, including those operated by a twist of the wrist, were quite common in early Sears Catalogs. First Electric Doorbell The first remote electric signal device, having all the characteristics of early electric doorbells, was in 1831. This invention is attributed to Joseph Henry, who later served as the first Secretary of the Smithsonian Institution.